Pro-Health Services was established in 2009 to enhance health and wellness...one patient at a time. Dr. Angelice Alexander is a Central Ohio native and a Board Certified Family Physician, Board Certified Obesity Physician, and Board Certified Addictionologist. In addition, she is a Fellow of the American Society Of Addiction Medicine, and she is a certified BioTE Physician specializing in balancing hormones. Earning a Bachelor of Science from The Ohio State University and a Medical Degree from the University of Cincinnati College of Medicine, Dr. Alexander completed her residency training at Mount Carmel Medical Center. Serving as a Family Physician for over 15 years, Dr. Alexander provides medical care for the entire family including preventative care such as physicals and pap smears. She also treats acute conditions such as infections and she treats chronic conditions such as high blood pressure, diabetes, high cholesteral, and depression. 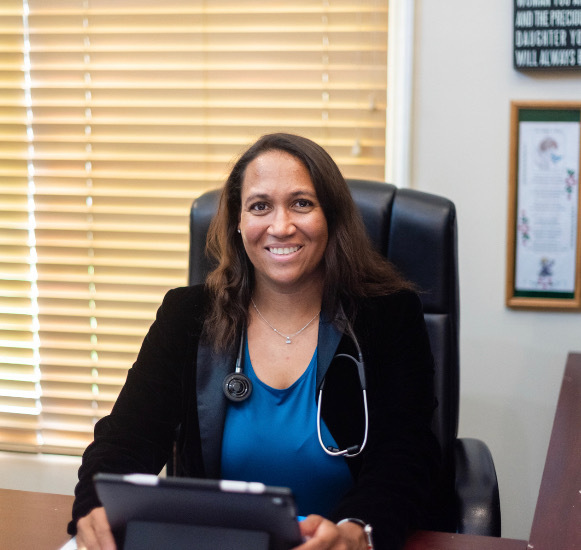 In addition, Dr. Alexander specializes in the medical treatment of obesity, overweight, and addictions, and she specializes in balancing hormones to help you achieve optimal health. She also provides ALCAT Food Sensitivity Testing to detect and reduce food sensitivities and she counsels on the use of neutracueticals. Dr. Alexander's goal is to enhance your health and wellness to improve your quality of life.